Mr. Bishnu Lamsal is a passionate Trekking and Tour Leader holding over a decade experience in organizing Touring/Trekkings, travel and adventures arrangements with local as well as International Tours and Trekking companies. I started my Trek adventure with one of the leading companies in Kathmandu where he sharpened his knowledge of the Himalaya and mastering the art of high altitude trekking in Nepal and in Tibet. At present Mr. B. Lamsal with “Nepal Hiking Adventure Company” and "Nepal Everest Base Camp Trekking Company" organizing trekking and leisure trips including tailor made itineraries for family, school groups and corporate executives. In his adventure career since 1999, Bishnu has probably acquired every bit of travel and trekking knowledge. I had also been at forefront in opening new trekking trails in the villages of Nepal as part of social initiative for income generation. Bishnu has extensive experience in rafting, jungle safari, family adventure, four seasons trekking in Nepal, Tibet and Bhutan. Bishnu is himself a motivation for a lot of Trekkers and Travelers in Nepal, Butan and Tibet. I loves leading trekking groups into the High altitude of Everest Region, Annapurna, Langtang, of the beaten trekking and in the High altitude trekking plateau of Tibet. As a whole is a proud Nepali Adventure expert who offers his sharp and perfect knowledge to take care of your adventure journeys, He still leads trekking into Himalayas with you some time as well. Running trips on the scenic, cultural routes providing absolute wilderness away from the main trails giving new experience to the valuable clients along with his company warm hospitality. We have them all for you to experience and to your delight. So be lucky travelling with us. Nepal Hiking Adventure Company is fully fledged business Institution. This organization competes with the international business organizations interims of the services and facilities provided by it. This company is very flexible towards its valuable clients. However this company has good relationship with its competing business institutions. This main motto of this company is to serve and to satisfy the clients with its full potentiality. The ultimate goal of this organization is to make its mark in the world tourism sector. Moreover this company is anxious and ambitious towards its future prospects and prosperity. This company has already been identified by the tourism sector of our country, Nepal. 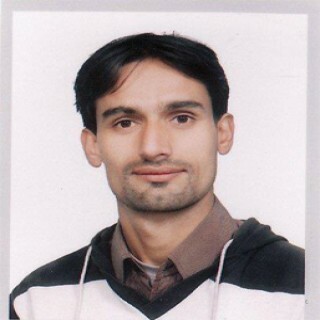 I am Ram Krishna Lamsal and I was born in Jyamrung- 03, Dhading, Bagmati, Nepal, on 1992. Since I finished schooling at 16, I started my career in Tourism on 2009. Starting as trekking porter gradually facing many obstacles and turns of life to become a guide, after doing guide for long time then today, I am standing as Manager of Nepal Hiking Adventure Company Pvt. Ltd. I often remember my past days and think about future. Whenever I remember past events of my life it gives me power to work a hard. Trekking is my passion and I grown up the place where the mountains are few hours away and after having long experience in trekking field I thought why I shouldn’t start own my company as a Trek and Tour operator to provide satisfactory service with reasonable cost to my valued clients. I am always thinking loves to traveling and respect the travelers. To be a good tour operators one’s needs to be traveler himself so that he can identify the travelers needs, interests and expectations easily. Whenever I have been running Trekking Company as Trek and Tour operator, during this period I met much different kind of people from the glob & quite familiar with them. So that can understand the feeling of people very easily. I highly appreciate you kind support and keep expect further up coming days too. Born in 1978 in the Solukhmbu district of Nepal, Mr. Sharpa started trekking field after his intermediary studies. 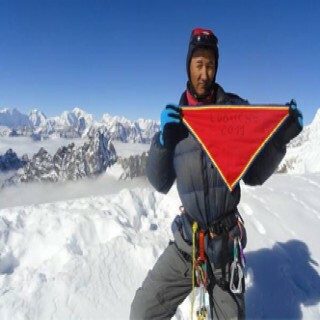 He is trained trekking and climbing guide since 1995, having skills of plentiful trekking and climbing around the Nepal Himalayan region like Annapurna, Everest, langtang, Tsum valley, kanchanjunga etc. He climbs all the peaks around Nepal Himalayas. His friendly beehive and responsibly working style has recommended by every client to us. He speaks well English, Hindi other then Nepali language. He is good at looking after the guests and taking care of their requires. He has wide knowledge of Nepal, its traditions, ethnicity, place and citizens. Mr. Sudakar Rijal started trekking field after his intermediary studies. He is trained trekking guide since 2009, having skills of plentiful trekking and climbing around the entire Nepal Himalayan region. His friendly beehive and responsibly working style has recommended by every client to us. He speaks well English, Hindi and Nepali language. He is good at looking after the guests and taking care of them and what clients require. He has wide knowledge of Nepal and its Himalayas with the culture, altitude and first adds. Mr. Suersh Shrestha started trekking field after his intermediary studies. He is a license holder guide and he is Trekking operator with Trekking guide in our company. He is very friendly & helpful & he have a lots knowledge about trekking trails of different trekking regions in Nepal. He has Trekking guide several international trekkers group to make their treks successful & memorable. He has 7 years experience in this Tourism field. He can speak English very fluently & Chinese Language also and he is very kindly & sociable man. He can easily explain about culture, history & Himalayan activities in Nepal.